Browse #ADAA2019's (March 28-31 ) full online program. Search more than 160+ sessions by keyword, presenter and more. Click here to view the full online program. Connect and collaborate with more than 1,800 innovators and change-makers focused on anxiety, depression and related disorders. Impact factor of 5.043. Ranks 19 of 142 in psychiatry journals and 8 of 77 in psychology journals. Complimentary subscription for members. Live one-hour format with a Q&A. Presented by experts in the clinical and research fields. 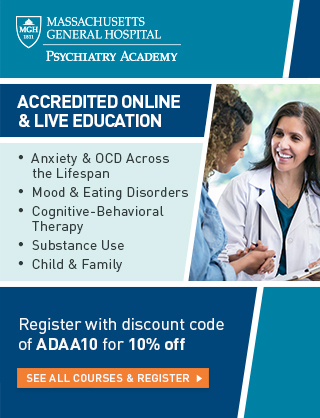 ADAA is the only multidisciplinary professional organization in mental health that engages the world’s leading experts who focus on anxiety, depression and co-occurring disorders. Engaging a membership of more than 1,800 professionals, ADAA strives to improve patient care by promoting implementation of evidence-based treatments and best practices across disciplines through trainings, continuing education and accelerating dissemination of research into practice. 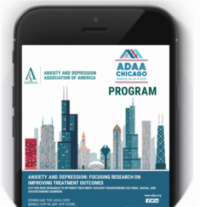 ⇒ ADAA promotes scientific innovation and engages a diverse network of clinicians and basic and clinical anxiety and depression researchers with diverse backgrounds in medicine, psychology, social work, counseling, nursing, neuroscience, genetics, epidemiology, and other disciplines to advance science and new treatments. ⇒ ADAA member dues help support the free information and resources that are provided to the more than 38 million annual website visitors to www.adaa.org. Membership dues also help fund the research that will one day prevent and cure anxiety, depression and related disorders. “We’ve known for a long time that you can tell how someone is doing from their voice. 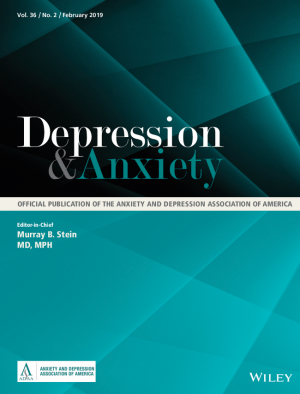 You don’t have to be a doctor to know when someone is feeling down,” says Eugene Laska in this article featuring ADAA's online journal, Depression and Anxiety. New Depression and Anxiety research articles, members in the media and more! Read the April 23rd issue of Insights e-newsletter here. ADAA member Jon Hershfield, MA, LMFT shares his insights on how to find relief from harm OCD in this interview. ADAA member Arash Javanbakht, MD authors this article on what brain scans tell us about PTSD.